June is a month of historical observances in Seychelles with the celebration of National Day, Liberation Day and Constitution Day, prompting us to take a walk down memory lane of our very own rich history on North Island. Here are 8 fascinating historical points of interest on the Island. From 1826 until the 1970s, North Island was owned by the Beaufond family from Réunion. During this time the Island was a plantation for growing fruit and spices, as well as producing guano, fish oil and copra. After the copra market collapsed, the plantation was sold in the 1970s and fell into disuse, however the original plantation houses can still be found on the Plateau to preserve the history of this era on North. 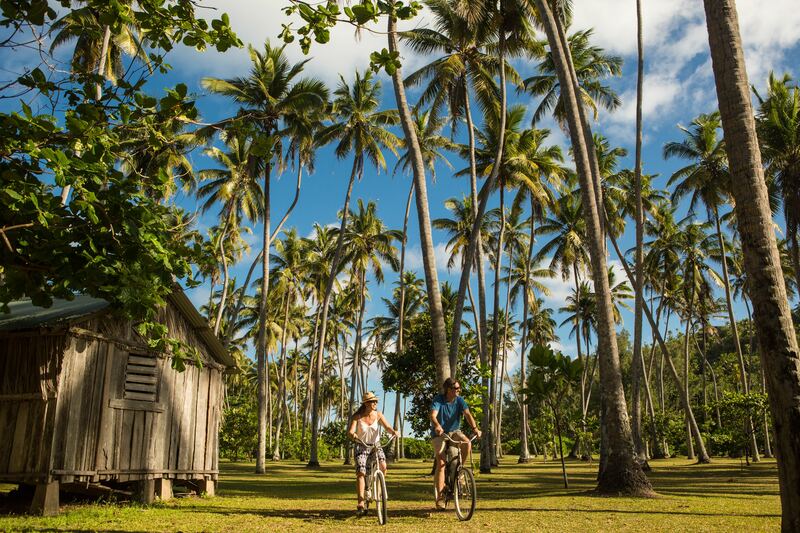 On the Plateau you can spot some of the oldest coconut trees on the Island. Trees from the plantation days can be identified by looking for the original notches cut-out along the tree trunks, which the coconut climbers used to clamber up and collect the coconuts. Although a new chapter in the history of North Island began in 1997 when the Island was purchased and rehabilitation began (including the clearing of invasive coconut trees), these particular trees on the Plateau form a part of our history and will be preserved to tell the tale. If you look carefully when driving your buggy along the road that leads to West Beach, hidden deep in the forest are the foundations of the original home of the farm manager (or so we believe). These are fertile grounds where it is suspected they once grew their fruit, vegetables and spices. Now replaced with native palms such as the Seychelles Stilt Palm or “walking palm” identified by their roots which can be seen aboveground; you can also find the infamous Coco-de-mer Tree that the Seychelles has become known for. Two historically important buildings on the Island. 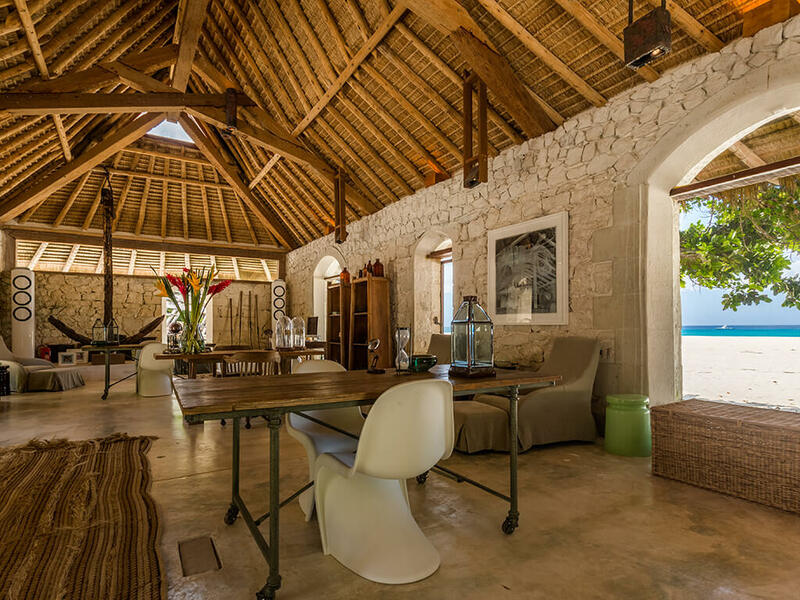 They are now the Library and the Dive Centre, but were earlier the hall in which the coconuts from the coconut plantation were stored and the copra furnace where the coconuts were dried by a hot fire in a steel pipe that transected the building. The buildings have white beachrock walls and the Library has typical arched openings which are now glazed. As the custodian of the history of the Island, the Library houses a collection of original black and white photographs of the early history of the Island, featuring nostalgic images of the Beaufond family, staff who tended to the plantation, and fisherman hauling their catch from the waters surrounding North. Ile du Nord was the first Seychelles island on which a recorded landing was made by seafarers. An expedition in 1609 by Captain Sharpeigh and the crew of the English East India Company vessel Ascension reported that the Island, still uninhabited at that time, had a large population of giant land tortoise. A replica of the ship is on display in the Library; a 17th century galleon measuring 51 metres, her prow represented by a head of a horse, with 3 masts, 8 12-pounder weapons, a crew of 5 officers and forty-eight sailors. The Library also houses a large anchor measuring over 2 metres in height which dates back to the 1800s. Remarkably it was pulled out of the bay in front of the Piazza. There are many theories about the ship it belonged to but we have not yet uncovered the full story of “one stormy night…”. As you enter the bay on Main Beach, you will see a large cross standing proudly on the granitic slopes of Spa Hill. This was the very first “lighthouse” on North Island. A bonfire was lit at the tip of the point to illuminate the cross, lighting the way for ships and indicating a safe bay to drop anchor. 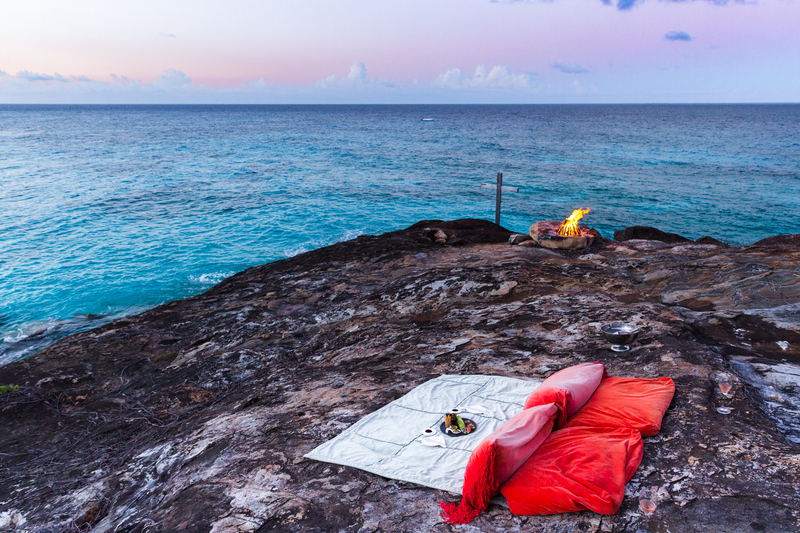 To this day, the fire is still lit on special occasions and the spot forms the perfect romantic location for a sunset picnic with champagne and canapés. The only individuals who know the real history of the Island are our resident tortoises. 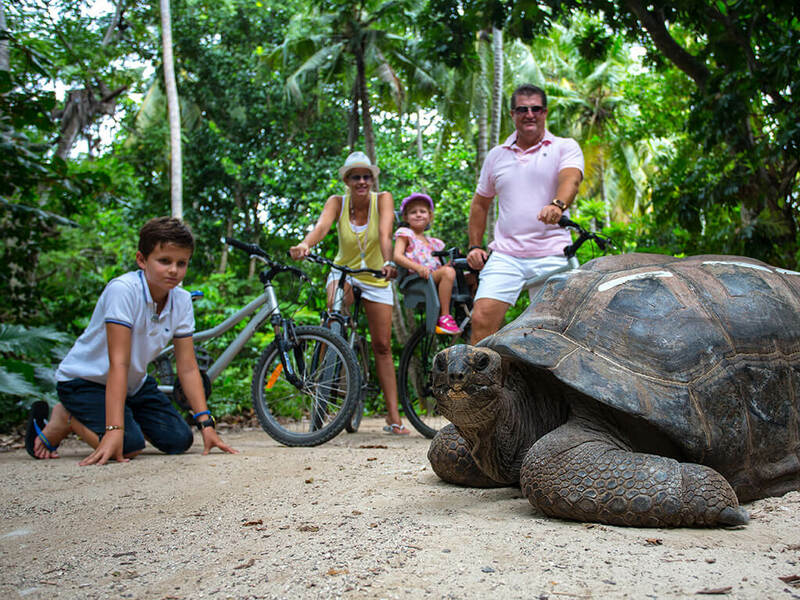 The oldest are the original three Giant Aldabra Tortoises named Patrick, Harry and the legendary Brutus. Believed to be over 150 years old, they have seen it all…just imagine the stories they could tell!